Online Panchang and Hindu Calendar, Bengali Calendar, Pooja Dates, Festivals Information. 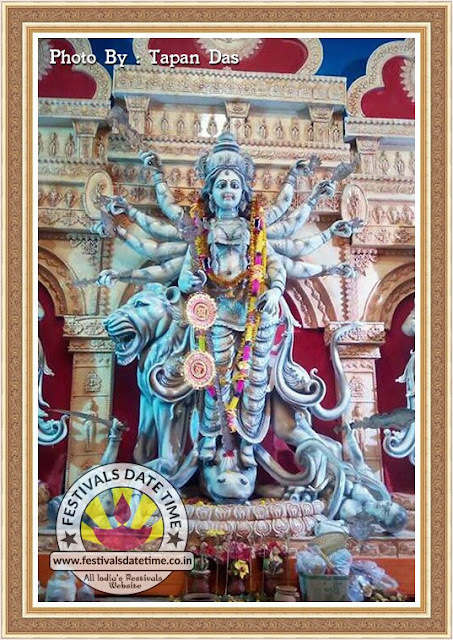 This is Kolkata Durga Idol, This Photo send to our friend Tapan Das from Kolkata, India. Festivals Date Time Thanks for sending us. Online Panchang and Hindu Calendar, All Festivals Dates and Time in India. Puja Dates and Time around the world, Durga Puja, Diwali dates and time and many more.